Kid finished with the junior last year, wants to go big car this year. My mustangs not ready and won't be due to a million things. Then the fed bug hit and I can't get it out of my mind. Have a 4cyl FED as a screenshot on my computer now. lol. How much power will I need, pro class is 11:50 - 13.50. Don't want to go faster (super pro) as that's our electronics class. Thinking 230*@.050 cam/4bbl/porting and head work, just a mild torque engine max at 5500-6000. Am I out to lunch or have any semblance of logic here? Forgot to add I have a 54 dodge front axle I was thinking of using unless you guys think a round tube axle would be better/lighter/etc? Goinbroke2 - posting in Six Cylinder section so we assume 300/c4/9” means engine is a Ford 300 six. I’ve read before the stock 1960s Ford 300 six weighs less than a stock 1960s sbc. The c4 weighs more than a pg, perhaps your engine/trans combo will weigh similar to a sbc with pg in race trim. Weight guess without driver, 1250lbs with that solid 54 Dodge axle. The stock and/or slightly modified Ford 300 six isn’t a high rpm engine. With your planned engine modifications, close to one hp per cubic inch is possible. Yes 300 ford six. 1250# great, that’s a general idea I can work with. Not being a rpm fan I was thinking 6000 would be max(if that, depends on head flow) regardless, I have something to work with. Ran a very successful 300/e4od/8.8 f150 in Street class years ago and was very impressed with its consistency. I’ve got a 302 crate engine as well as a couple 460’s if I wanted to go faster, but bracket racing this six would be different and fun. Thanks again for the reply, time to crunch some numbers. Anyway, worked all summer and never even hit the track until Aug. Been out twice now with my younger kid driving my older kids focus, just to get on the track. Mustang will be worked on this winter but kid is really liking the look of a fed so we'll see how it goes. New garage in the process of being built, man life gets in the way don't it?? I am about to become your "go to" guy. That's because I have a small fleet of Ford six powered race cars and hot rods. My avatar car (blue altered) runs a built 300 with a crossflow six - runs 9.0s @ 147 in Super Pro. 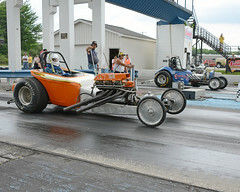 My Logghe altered (orange car) is run at vintage / nostalgia races a few times a year. It weighs almost 1800# with me in it (225#) and runs low-to-mid tens. It has run 9.7 in the past but I slowed it down to above 9.99 sec so I don't have to jump through the chassis cert hoops any more for the car since it only gets raced three or four times a year. weight: 2150# (car and driver) w/ 70 lbs of ballast. rollerized valve train, big valve ported head, stud girdle. I recommend making the wheelbase 125" so the crushing torque of this engine does not overwhelm a too-short chassis. It can still look old-ish at 125". Also I'd use a stall speed of at least 4000 RPM. And build the chassis to cert for 9.99 and save yourself headaches in the tech line. A 300 six with iron manifolds weighs 490# dry. Check out the website www.fordsix.com for great advice. Good luck with your project. That orange machine looks nice!!! It's giving me ideas. Thanks Mark. That is actually the last altered built at the famed Logghe Stamping Company. I am the original and sole owner. It has always had a six cylinder engine. Chuck Kurzawa, noted Top Fuel builder did the welding when he worked at Logghe. Al Bergler did the tin work. In 2000 I crashed the car at Norwalk and it sat for 11 years until I collected enough parts to have the car front-halfed at Advanced Chassis in Antwerp Ohio. FTF – pretty nifty collection you’ve built/put together, I enjoyed reading the story on the Logghe Stamping altered. Here’s pictures I took at Garlits museum in 2013. Both are Fords, an inline 6 and a V8 flathead. The “Fly” has unusual racing parts per the description, a Crane Super Port cylinder head with Lucas Maserati Injection and Hilborn stacks. 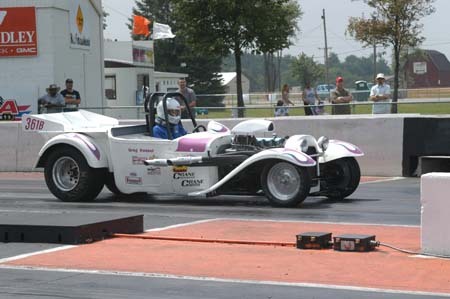 Don said Bradley’s dragster, a V8 flathead D class is similar weight to the “Fly” dragster. Thanks to both of you for the replies guys! Wife's been bugging about the mustang, when am I building it? 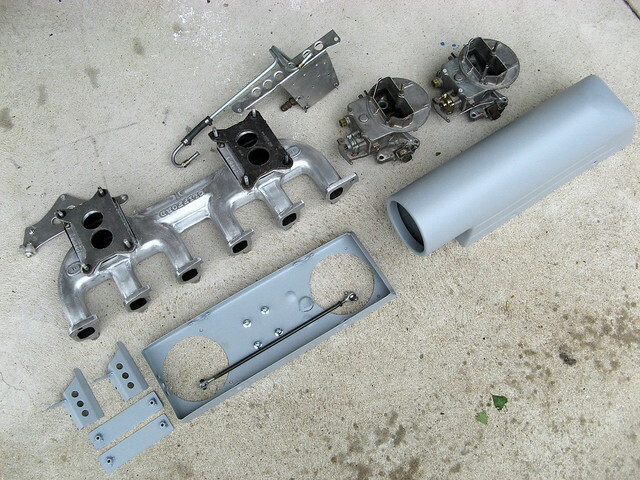 I picked up some various parts last summer to help the build. So right now, after replacing a balljoint and some tie rod ends on the focus, I'm still flat out on the garage. xxxx it. Still looking at the want ads, would be quicker to buy one and put a 300 in it. Ft I know what you're saying with the pg, I was thinking of one behind the 460 in the mustang....but I digress...must....focus....on....one....project....at....a....time....lol!